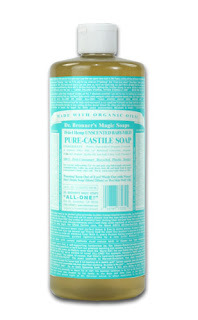 Just got in the post yesterday my new product to sample...Dr Bronner's Unscented Baby Mild Soap. And so far, I love it! The packaging is super sweet, with loads of writing all over it, with little quotes from Shakespeare, as well as a brief (very) history of the company. This product looks really nice next to my other ones on the bathroom shelf. The ingredients are suprisingly mild: Water, Coconut Oil, Olive Oil, Glycerin, Hemp Oil, Jojoba Oil, Citric Acid and Vitamin E. Mostly organic of course, and the entire thing is fairtrade too. I used this last night as a cleanser, mixed with a little bit of water, this stuff is gonna last for ages. I might try mixing it with some essential oils and water to see what its like....Potentially the best cleanser ever!?! 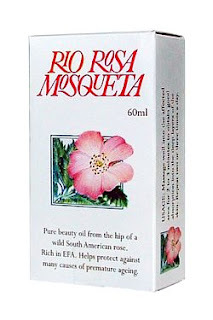 I also got some Rio Rosa Mosqueta oil in the post from ebay too! I dotted this on my face, then massaged it in. I only needed a tiny amount. Its such a gorgeous oil, so so so light, which makes a nice change. But it was really expensive, you certainly get what you pay for though...I woke up this morning with really soft skin. I have also ordered some different, cheaper oils and essential oils from Naturally Thinking. I will tell you what they are like once I get back from holiday. Yes, thats right, I am taking a break! Cornwall with the family should be so much fun!